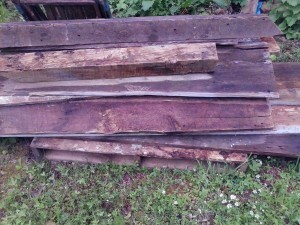 I was lucky to get a pick up truck load full of barn wood two weeks ago. I have not made anything yet but it is some really lovely stuff, with lots of character and history. Wood is constantly changing. It loses moisture and shrinks, it absorbs moisture and expands. One of the cool things about working with wood is how it can be altered by its environment. What is nice about this selection is there are several wide planks, 12″ 13″ and 14″ and there are several boards over 6′ long. Wood like that can be difficult to come by. There are sections that are unusable because they are too dry but a majority of the wood is usable. There are 3 short 4″x 4″ posts, one piece that is 1″ thick, and the rest of the wood is planed to 3/4″ or 1/2″ thick. I am excited about working with this new wood. 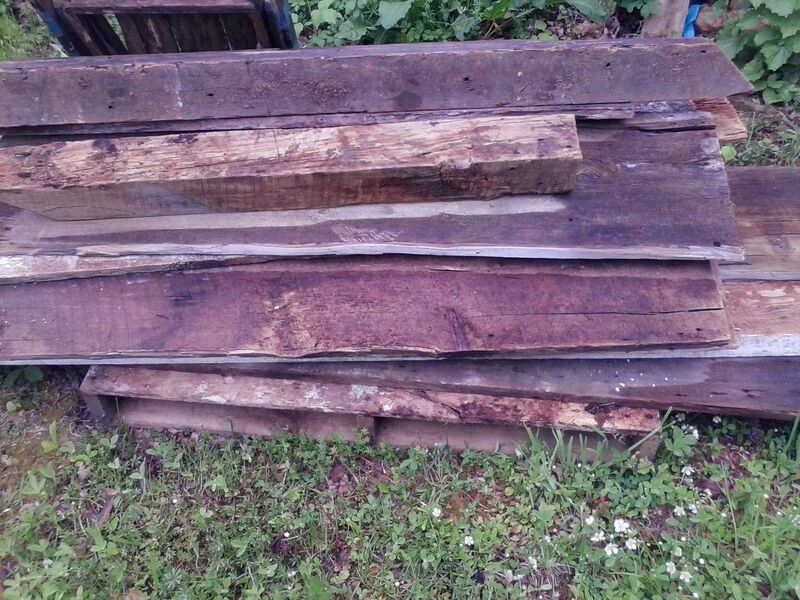 I also came across some nice pieces of pine last week. I am rip cutting one of the pieces in to 2″ wide strips to use for a frame in a table that I am working on. My table saw does not work so I am using the circular saw to make my cuts. 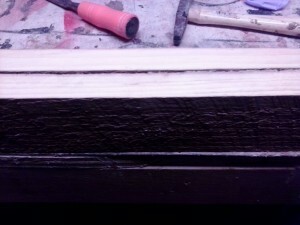 I have gotten pretty good at making straight cuts but there is occasionally a board that is a little wider or narrower. When that happens I just clamp them together and use a hand plane until they are the same width. I am working on my bio and artist statement for the Art’s Guild. I always struggle with those kind of projects. I live in Vermont and I work with wood sums it up for me, but I need more than that. Honestly I have trouble self identifying as an artist. I am getting more comfortable the longer I do this but it still feels weird. If I want to sell my work wholesale I need to get over that. So no more putting it off. I will finish my artist statement this week. 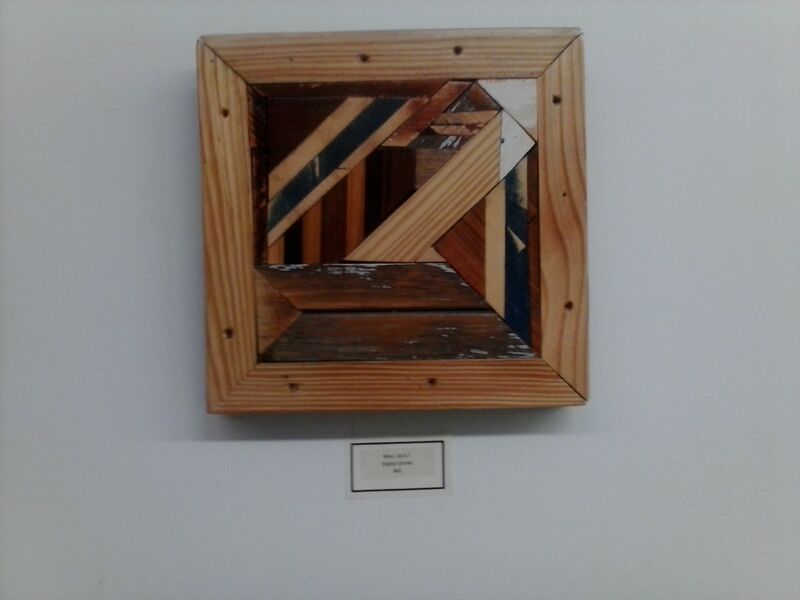 This entry was posted in barn board, on-going projects, process, scrap wood, Uncategorized, wood working by brighid. Bookmark the permalink.